Like with any career field, you only get better by learning new things. At WDG, attending workshops and conferences is a huge part of what we as designers, developers, strategists, and marketers do. After all, staying on top of recent industry trends is essential. Whether you’re a creative or a techie, I’ve listed some of the best web conferences of 2015. Take a look, get inspired. Tweet us @WDGtweet with any awesome conference stories! Best For: Techies and startups—Disrupt NYC is for you. Their popular web conference hackathon and Startup Battlefield are the perfect backdrop to learn about the latest innovations in the startup and technology world. Best For: Innovators, entrepreneurs, and creatives alike can learn many valuable insights for this business- and idea-driven conference. Best For: This intensive front-end development web design conference incorporates key notes with in-depth workshops to bring you the best of design practices. Best For: Designers and developers who want to learn more about usability, strategy, APIs, and other technologies can benefit from this technology-heavy conference. Best For: Love user experience? Giant Conf is a great UX-focused web conference useful for designers who want to learn more about crafting awesome user experiences. Best For: SEO, marketing, content strategy, analytics—you’ll learn about these topics and tons more at MozCon. Best For: Email marketing is making a comeback! Learn about creating and producing click-worthy emails at this informative web conference. Best For: CSS Dev Conf is the web conference to attend to learn practical techniques for perfecting your CSS skills. There are many great web conferences out there. 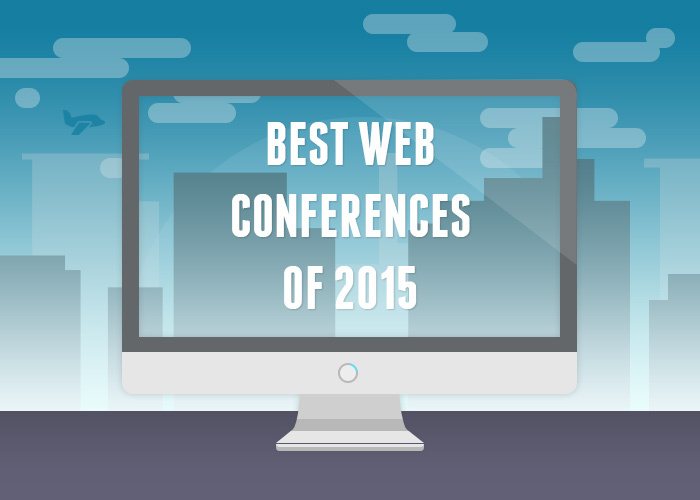 This list of best web conferences of 2015 just scratches the surface! Have a conference that you think we should take a look at?